A black and white cat laying on a stack of old books. 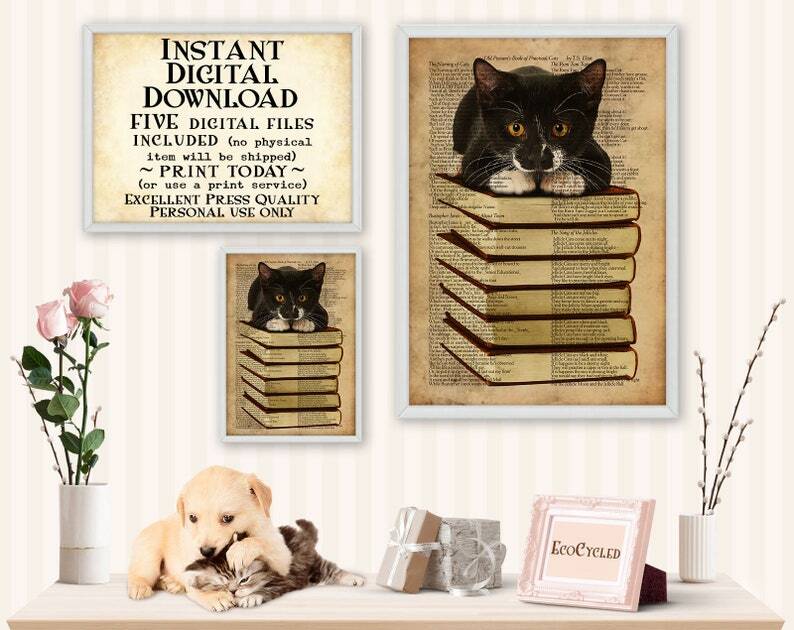 A perfect printable best friend gift of wall art decor for a book and cat lover. It would look wonderful in a book nook. A literary gift that you can download and print right now, with 4 poems about cats from TS Eliot in the background.